February 20, 2018 By Steve Moses & filed under All Articles, Other Tactics & Training, Tactics/Training. It is believed that tens of thousands of churches have less than 100 attendees, including children, and operate on a limited budget. This makes using a paid protective team cost prohibitive. Americans are fast learning that churches are particularly vulnerable to the actions of murderous criminal actors. Motivations vary and include robbery, domestic spillover, personal conflict, mental illness, political differences, and religious bias. Interestingly enough, religious bias in the United States has most recently played a relatively minor role, which is not to be discounted because of the extreme amount of damage that can occur when a church is targeted by a heavily armed team of radicals. Criminal acts committed by terrorists in houses of worship in other countries have included use of improvised explosive devices, arson, small arms, assassinations, kidnapping, and chemical and biological weapons. In my opinion, a mix of domestic spillover and/or personal conflict combined with long-term mental dysfunction is likely the largest cause of aggravated assault and murder within the walls of American church facilities at this time. We now know the ones most likely to do us harm are people within our own communities who, at this very moment, are nursing a grudge, completely bereft of conscience, and contemplating violent actions against others. WHY DO MASS MURDERS OCCUR IN HOUSES OF WORSHIP? 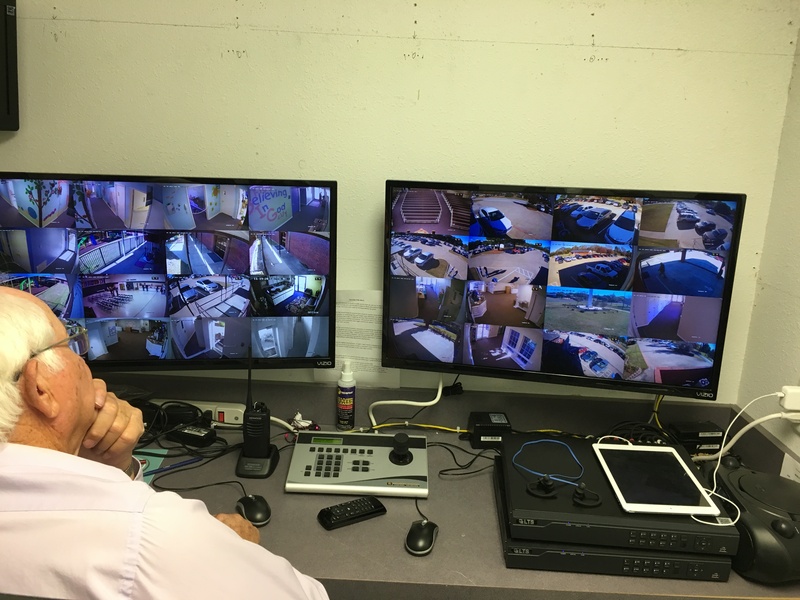 Reliable surveillance system is an important asset to any church, and nearly a must for larger churches. Radio allows camera operator to quickly contact protective team, provide brief description of situation observed, and direct them accordingly to area of concern. Multiple persons have assembled at a single location on a published date. There is ready access into church facilities. Entrances are typically manned by persons lacking the skills and tools needed to identify and/or deal with potential violent criminal actors. Entrance to adjoining church parking lots is generally unrestricted. Visitors unknown to members of the congregation and church staff may attend services. Church volunteers, workers, and maintenance staff may not go through background checks. It is often relatively easy to set up improvised explosive devices or cause fires in critical areas, possibly unobserved. Most churches do not have a trained security team or even a solo security officer. While greeters and staff may have been educated to observe and report unusual persons and anomalies, lack of a workable intra-church communication system may result in a delay getting that information to key personnel. The majority of churches lack the funds or even desire to field and train competent first responders. While one or more members of the congregation may indeed be skilled and capable, multiple variables are in place that can prevent that person(s) from getting into a position where effective interception of a criminal actor is timely or even possible. 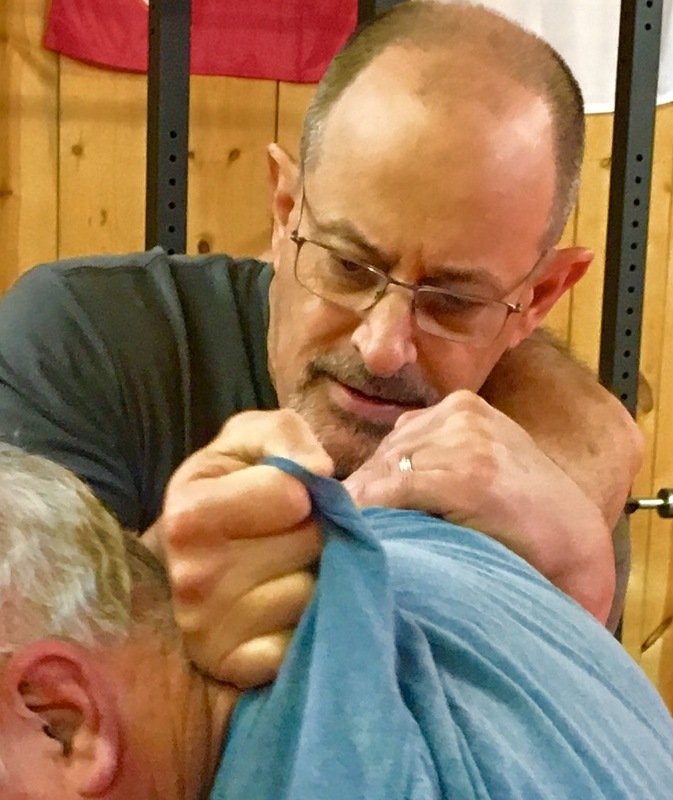 Author teaching local protective team members how to perform a lateral neck restraint using attacker’s shirt. Protective team members are more likely to have to deal with an attempted assault than a shooter. It is simply not enough to own a pistol, have a carry license, and then rely solely on inspiration and faith to take on the enormous responsibility of being an armed first responder in a house of worship. It is important to understand that an incompetent intervention may actually injure or cost the lives of innocent parties, financially ruin and subject the responder to criminal charges, and expose the church itself to lawsuits. Just because the church designated a person as their official responder or part of their new church security team does not imbue that same person with any special superhero enforcement powers. I recommend that any person contemplating going down the church security path become familiar with their state’s use of force laws. They are likely to find that their ability to detain, arrest, or even touch another person while performing church security has not been expanded. In Texas, civilian arrest powers within a church setting are pretty much limited to Disorderly Conduct or Felony in View. The criminal penalty for false arrest or detention in Texas is punishable by fine and/or jail time. As a licensed Texas Level 4 Personal Protection Officer/Instructor, I worked as Shift Lead on a mega-church security team for seven years and completed over 100 hours of documented Executive Protection classwork plus countless continuous training hours. I can’t articulate clearly enough how important specialized training is for team members who not only wish to protect themselves and the church family from the violent actions of others, but also stay out of jail or the courthouse. 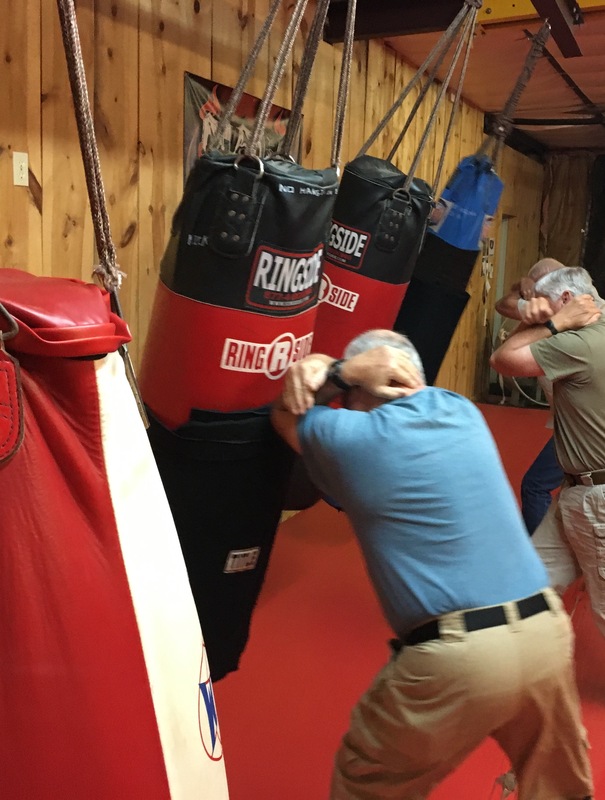 Practicing non-diagnostic punch defense: Local church security team practices initial part of default response to a “sucker punch” by covering their head and driving their leading elbow into the attacker. The challenge for churches is to assemble a working plan that is neither too complex and difficult for team members to understand and remember, nor is so simplistic and non-specific that team members may not know what to do when faced with a threat, or end up leaving major holes in the coverage. Develop a comprehensive security and emergency response plan. Select and train a protective team. Train staff and greeters to be additional eyes and ears. Test emergency response plans through regular exercises. Liaise with law enforcement and the fire department. Select personnel or key volunteers via interviews and background checks. Develop a means of controlling access to entrances and exits. Employ a means of communication within the protective details and persons assigned to observe and report. Consider using electronic monitoring and surveillance equipment if the facility is too large for the team to quickly observe and respond to possible threats. Be on the lookout for threat indicators, such as persons in crowds wearing bulky clothes; unusual packages received in the mail; unattended briefcases, backpacks, or boxes; suspicious vehicles near crowds; unauthorized access to HVAC equipment; and unexpected deliveries or maintenance vehicles. Members of church protective team should not only be aware of challenges associated with closing in on an active shooter in a crowd, but also routinely practice doing that. Role players in a weapon-free environment are very useful. My recommendation for houses of worship interested in fielding a protective team is to first select a competent director and/or team leader, assemble a team, and then get the team properly trained. Given a choice between quickly putting together a full team of persons with a lot of enthusiasm but little experience, or starting with a small team of only a few mature persons with a known track record of reliability, decent firearm skills, and reputations for above-average discernment and judgement, I would definitely go the latter route. The team can increase in size over time through proper vetting. If your church is not big enough for a team and is just one person, all is not lost. If even one person does their job properly, that particular house of worship should become significantly safer. I particularly like the approach of the National Organization of Church Security and Safety Management (NOCSSM) based in Frisco, Texas and headed by Chuck Chadwick. NOCSSM has broken church security into three layers of protection: the Three Strands of Church Security. 1. Policies and Procedures specifically address security policies, emergency actions, shelter-in-place, lockdowns, visitors, staff ID and background checks, mail screening, offering procedures, and more. This should be done in writing to the extent possible without making compliance with procedure unduly confusing, complex, or lengthy. 2. Team Players include a carefully selected, vetted, and trained security team whose members can best be described as quiet, non-egotistical professionals. The security team needs to be familiar with use-of-force guidelines and fully understand what they can and can’t do when confronted with a variety of situations. It is my personal belief that the team should dress in the same manner as the congregation, whether suit and tie or casual dress. In larger churches, also having one or more armed and uniformed security officers or off-duty peace officers on the premises indicates to persons contemplating a criminal act that this particular house of worship is not a soft target. Included within this second strand, and no less important, are the trained staff and volunteers, as they are often the first persons to pick up on anomalies. 3. Systems and Equipment. Video surveillance is a wonderful tool that not only replaces boots on the ground but can also look directly at otherwise unobservable areas. Security systems and burglar alarms protect the premises because not all crime happens during regular church services. Use of quality radios and earbuds permits team members to remain in contact with other team members and church staff and volunteers who may have observed something of concern. Quality radios let the protective team communicate directly with each other and trained staff members and volunteers who may have seen something out of the ordinary. Radios are also the quickest way for the person monitoring the security cameras to contact and direct the team in the event their presence is needed in a specific area. NOCSSM is capable of providing security assessments, designing a church security program for any church regardless of size, providing church-security-specific training, and in some instances even furnishing trained security personnel. 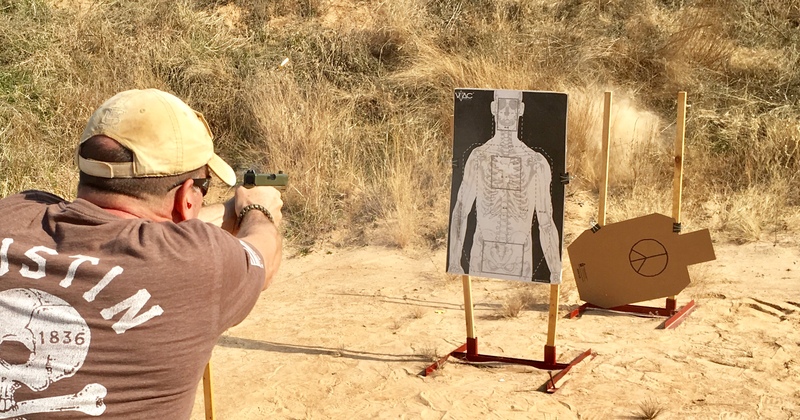 Shooting skill and active shooter response are only two parts of a proper security program, and I am leery of shooting schools that have suddenly started offering church-security classes unless their instructors have a legitimate history of participating in organized church security details. Going to church armed does not count. Safety of church attendees is enhanced when access points to critical areas of church are manned by trained staff and volunteers who have been made part of church’s overall security procedures. I believe that each member of the security team should be assigned a post before, during, between, and after services. My opinion is based upon both academic study and personal experience. It is preferable to keep the team leader mobile, either directing the team or in a position to move and react in the event of a possible pending or actual incident. I assign at least two team members to the sanctuary during the service, one in the front and one in the back and at diagonal corners. In larger churches with a backstage behind the pulpit, I want an officer there whose primary functions are to watch and protect the minister. Some churches have an upper deck, so I assign a team member there (if team numbers permit). 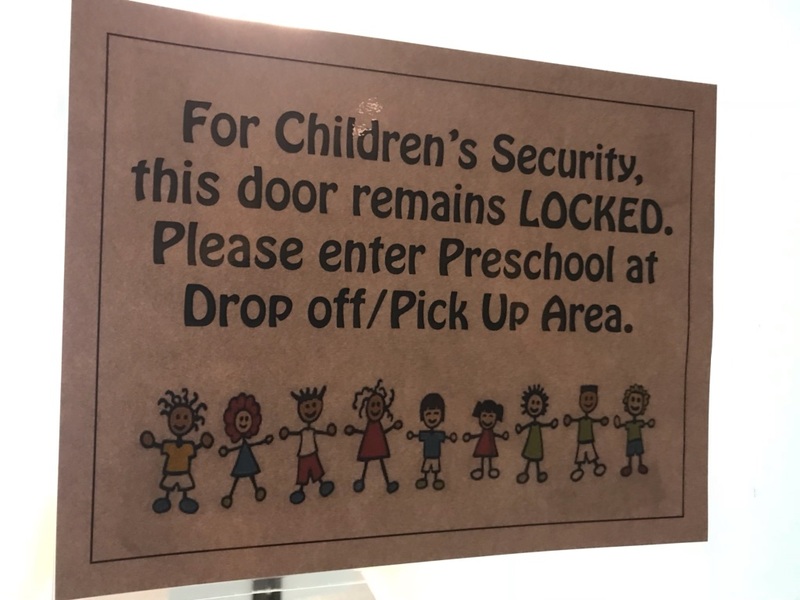 I definitely want a team member assigned to the children’s area, and it gives me considerable comfort to have an officer outside during the services, as he or she is likely to be the first to observe a heavily armed person obviously intent on coming into the church. 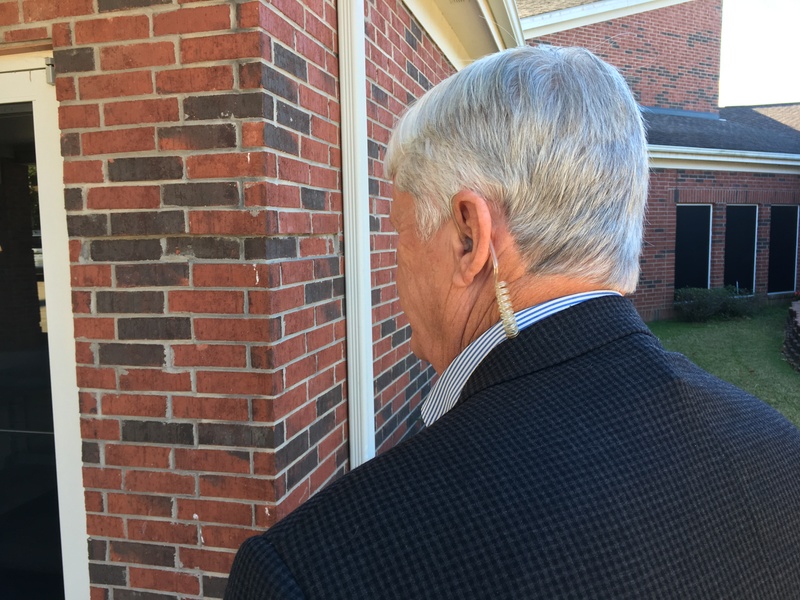 Member of church protective team watches parking lot next to front entrance before, between, and after services. 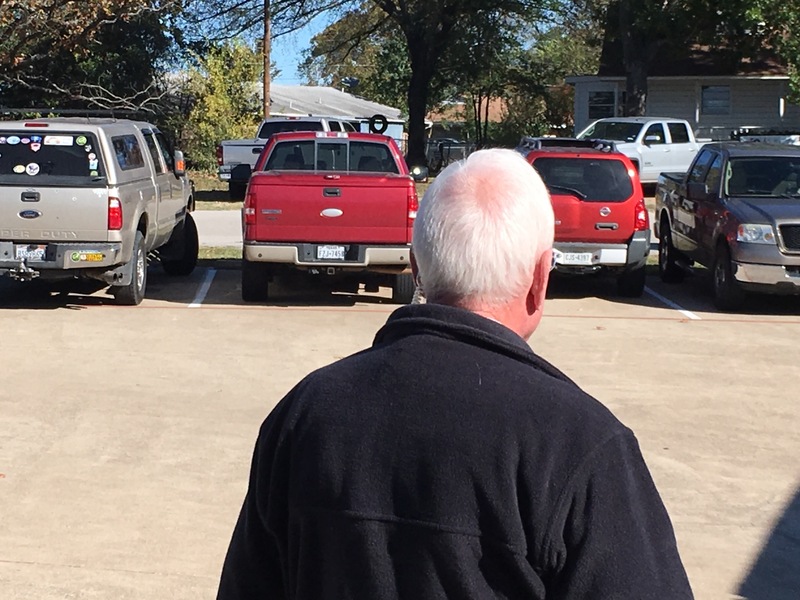 I know of one church that has a person cruising the parking lot in an enclosed golf cart before, during, and after the services, and I think that is a great idea. If the team is not large enough to fill all those positions, each individual church needs to assign a priority to a specific position and fill them accordingly. I have served as a solo Level 4 Personal Protection Officer at the opening of a smaller satellite facility, where I assessed the situation and then positioned myself where I could do the most good quickly in the area that contained the largest group of persons where an incident was most likely to occur. Taking a 25-yard headshot with moving people possibly in front of, around, and behind an active shooter is extremely risky. If forced to deal with an active shooter inside the church or even in the church parking lot, is each member of the team up to the task? Can everybody really make a 25-yard shot on a moving target in a crowd with a questionable backstop? Modern handgun bullets zip right through sheetrock walls. If you ever trained with Louis Awerbuck and engaged his moving 3-D target, you know how easy it is to miss a five-yard headshot if Louis suddenly moved the target a mere six inches a micro-second before you broke the shot. What if the shooter is wearing body armor? What if the congregation is running for their lives in all directions? What happens if one needs to get to the shooter as soon as possible but has to force his way “upstream” through a literal human stampede? All is not lost in these scenarios, but forethought is required. Proper responses must be learned under the guidance of qualified instructors and practiced over and over. Church security is not glamorous. Normally nothing much happens, and after a certain length of time, attention wanders and complacency threatens to manifest itself. Most incidents the team handles do not require gunplay, but that does not mean they are not challenging. Some team members will probably resign at some point, stating the job is not worth the time required, the commitment to being present on a specific date at specific times, and the risk involved. But there is always someone who decides in advance that the lives of the church family should be protected against those who wish them harm … and then trains, practices, and waits for the day that evil comes to visit. I always want to be that guy. 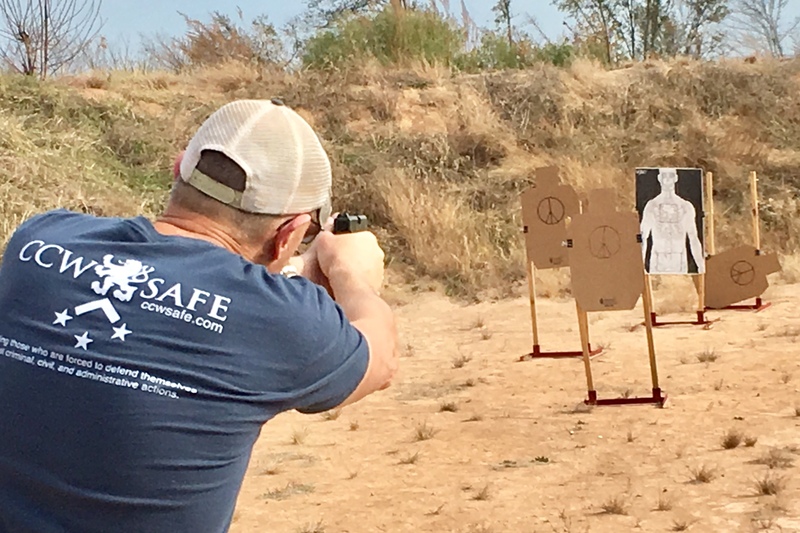 Steve Moses is a long-time defensive weapons and tactics instructor based out of the Dallas/Fort Worth area. He is a state-licensed Level 3 Security Officer, Level 4 Personal Protection Officer, and Level 4 Personal Protection Officer Instructor, and former member of a multi-precinct Special Response Team. He has provided close protection to state, national, and international politicians, the Dallas Cowboys Cheerleaders, and professional football players, and for seven years was Shift Lead on a large security detail at a mega-church with satellite campuses. Steve is currently co-owner and Director of Training for Palisade Training Group, LLC.